1. Always Have A Complete Plan. When you have a complete plan of what you want you can organize schedules for every phase of your design avoiding that way, conflicts of installation and misplacements. 2. A Complete Floor Plan Is Always A Very Good Start. A floor plan allows you to be sure that the spaces are ok for your needs. You’ll know if your furniture is sized properly and will know precisely that the space will not be overly crowded. Some designers won’t have any problems providing you a good floor plan that adjust to your needs so that way you can achieve your project with confidence by doing the right thing. 3. Selection Of Ambiences Is An Important Decision. 4. Colors Are A Very Delicate Issue. Liking a color is not always the right start. Colors tend to bring your mood up or down depending on the individual and a combination of colors can be very tricky. A professional advice can make your mornings more pleasant and your evenings more relaxing. Styles are not only what is in the ambience it is the structure as well and a very important part of the project in making sure you are keeping it in harmony with your main structure. 6. Confidence In Your Subcontractors. The subcontractors you chose are the keystone of your project. You must know they do good finishing’s and keep the project on time. If not your dream project can become one of your worst nightmares. 7. Every Body Shall Know. It is very important to make all decisions with your partner that way you’ll avoid having things done twice or having things one person likes but not the other. Even though art is a very personal thing, having a professional advice of the art you are getting could be a nice addition to your project. A good piece of art will constantly cheer your spirit. Once your ideal piece of art has been chosen, All you need is to make sure it has been placed correctly, has been well lit and dimensioned properly in the right ambience. Accessories are a very delicate step. They are going to be your most important complement for your design. Having a good selection of accessories is almost as important as the entire project it self. It will be your final touch and it needs to be the right touch! So always go slow with each piece so that way you’ll avoid extra expenses and your project will end successfully. Landscaping is obviously like your dress. It is very important. The surrounding of your property needs to always look well organized and healthy. It is best to have a very good landscaping design before purchasing any plant. Once you have your drawings with the distribution that fits your taste then is when you should proceed to implement all the sprinkler system preferably before bringing any special soil or preparing any lighting system that will enhance some of your beautiful plants. Then you can proceed with your creation with confidence of a beautiful long healthy lasting garden. Feng Shui is a Chinese Science that has to do with the energy in your house and office. Their basic principles are that the good energy is running very smoothly all around your place. A good combination of fengshue and a good design can be a great asset. Today in the western hemisphere you will find many interior designers and architects that naturally incorporate these basics in their projects. 12. Things To Consider First. 14. 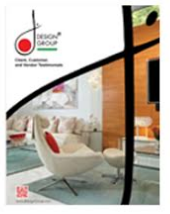 What Does JDesignGroup Have To Offer? At J Design Group you’ll find a very friendly professional firm with more than 25 years of mouth watering creations and experience ready to help your dreams come true. We are ready to provide you from your initial floor plan up to giving you the most desirable dream with a complete turnkey package. At JDG we consider every aspect of the interior design of your home or commercial projects taking into account everything from the entrance to even the smallest detail to ensure that the visitors enjoy a special first impression. Paneling, lighting, the latest designs, furniture and various decorating concepts are used to weave just the right ambiance and comfort throughout your home. Our interior designers and Decorators will ensure that your ideas and suggestions are incorporated throughout and both design and services are in line with your budget expectations. We’ll bring your dream house/office to reality. We’ll do it right for you and most importantly we’ll be with you even after everything is finished. We’ll be here for any and all consultations even after, because we’ll be your design firm months and years after. We’ll still be giving you all the support and professional advice you’ll ever need. You wont ever have to have doubts of anything you want for your house/office and most importantly you wont need to go hunting for a designer anymore. You’ll know JDesignGroup is there for you and you’ll never worry about paying high fees for consultation anymore because here in JDG we know how important it is to keep your place beautiful and we will help you to achieve that with no extra charges for you at all and we guarantee it.